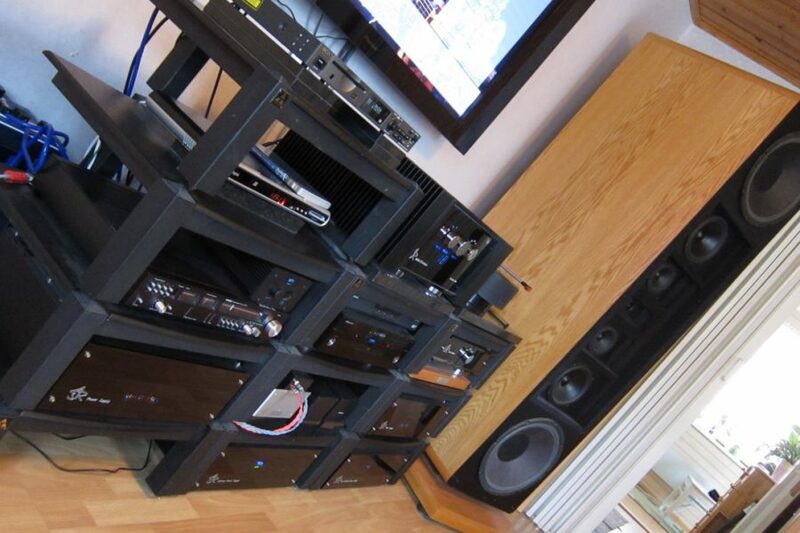 One of the most convincing sounding audio systems that I’ve heard in the recent past. Convincing it what sense? Well, it’s “full-range” in the noblest sense of the word. It’s especially strong in overall dynamics. The tonal balance is sufficiently healthy and tonal color sufficiently natural, life-like, to serve well many music by smallest ensembles to big Mahlerian or Brucknerian orchestras. 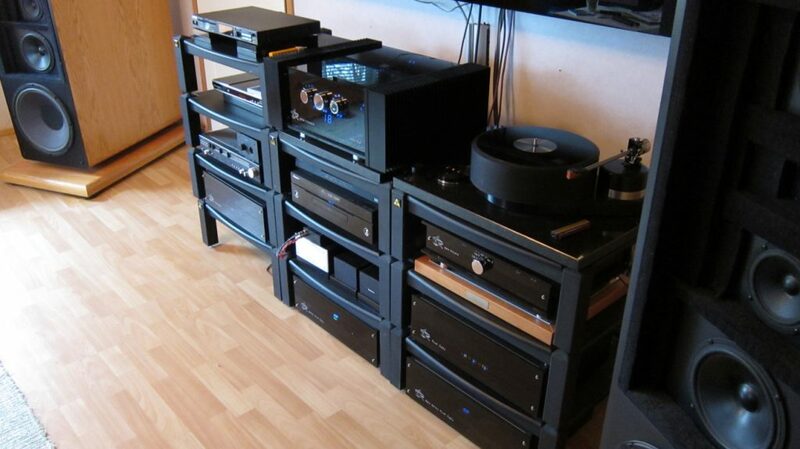 This is not hi-fi or it’s hi-fi at its best, depending on the school of thought. The greatest part is the impact. The effective and yet effortless way in which the system presents music can be almost frightening unless one knows what to expect. The musicians are literally brought to the room. 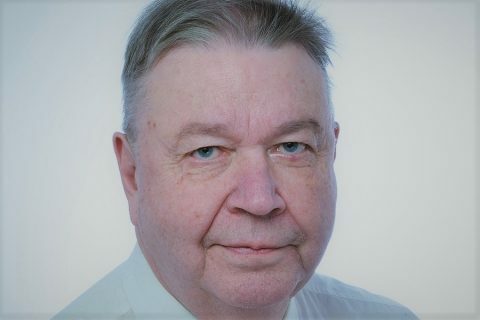 Not just for the sake of entertainment – or for the sake of stereo image for that matter – but accurately and believably, as a competent systems must. 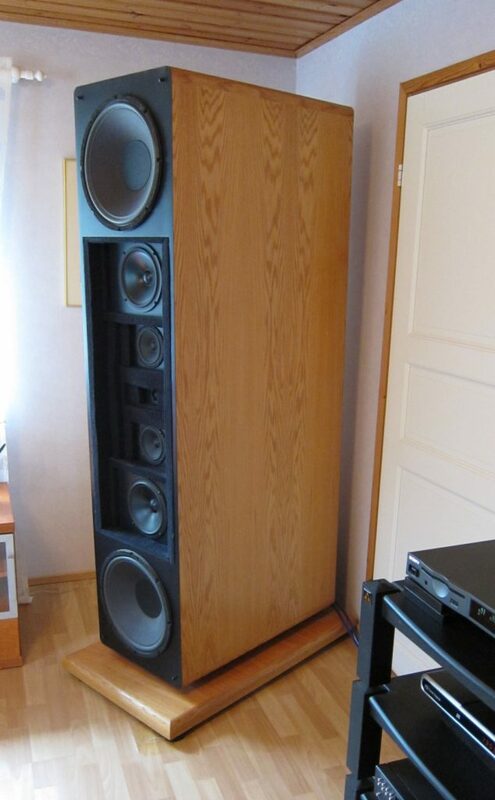 The sound is attained with the impressive Dunlavy VI loudspeakers from the early 2000. Reportedly only 350 pairs were ever made. It’s a big speaker in every way, and to all directions. To fully appreciate their size, one needs to go and stand by their side. 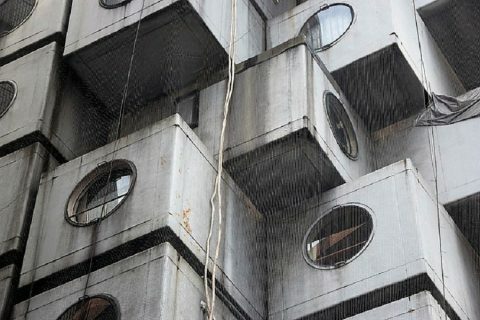 The 250kg (each) monsters were placed in the room corners and slightly directed toward the listening seat. They stood on top of five icehockey pucks, and were slightly angled vertically. 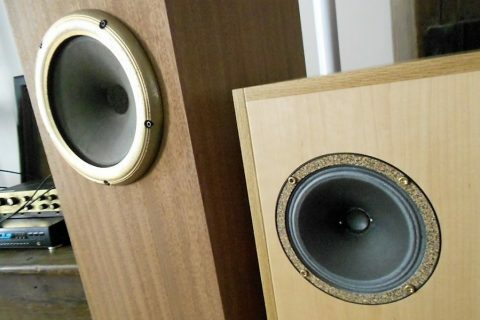 The two 15″ woofers produced a powerful but clean bass in the space the surface area of which was not more than 24 m2, the ceiling at 250cm. Favourable acoustics helped. The house has wooden wall structures. The speakers were driven by nothing less than ASR Emitter II Exclusive amplifier with a battery powered preamp section plus two separate power supplies for the power stage, the AC flowing from a massive isolation transformer. The signal to the speakers is fed through the amp’s two terminals for genuine double cabling. Many amplifiers have tried their luck with the VI’s, some more successfully than others. According to the owner, the VI is not too capricious in terms of amplifier load but still requires certain characteristics from the amp. In this respect, solid state amps have managed better than their tube contestants. The owner now feels that the current amp system is pretty close to being the final one. The sound was well in control and showed no strain even in forte sections. The analogue source is Brinkmann Balance TT with the Brinkmann 9.5″ tonearm, and standard power supply for the motor and bearing heating. The cart is Micro Benz Ruby 3, all cables by Corfac. The phonostage is ASR Basis Exclusive also with a battery PS. Balanced interconnects. The cd-player is Sony CDP-101, more popular in pro surroundings, with its PS and transport parts heavily modified. Dunlavy is well known for not employing fancy drivers but making best out of those that are used. There are just a few matters with respect to which I could think the system could sound different. One is the treble. Dunlavy is well known for not employing fancy drivers but making best out of what is used. The tweeter (Wifa) performance is where this fact can perhaps be heard clearest. It’s just fine as such but by modern standards there are more sophisticated tweeters to make the HF reproduction silkier and more informative on a small scale. But consistency and phase-linearity of the sound more than make up for the slight disadvantage, if it’s a disadvantage. Second, the sound as it storms out now, and especially at high volume levels preferred by the owner, is enormous. 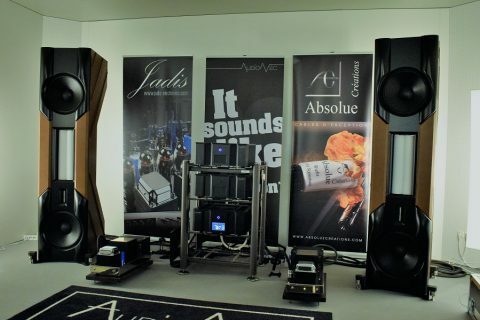 For those who praise absolute realism, the “bigger than life” type of sound could be too much; big speakers do not always translate into a big sound but in this case they certainly did. 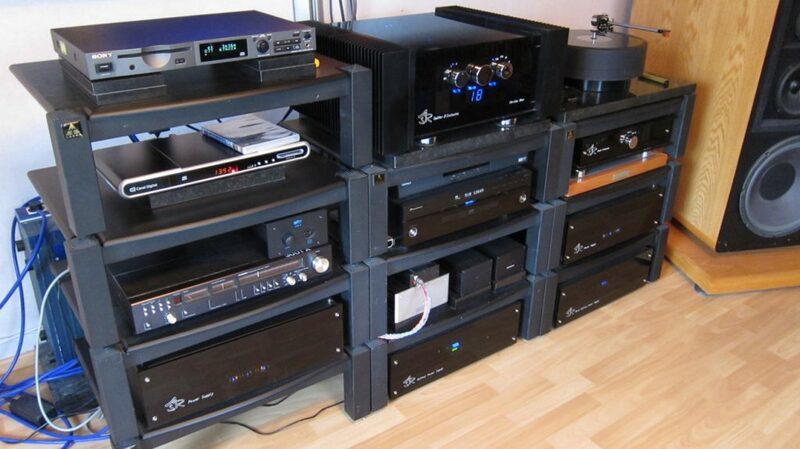 The system is assembled primarily for the purpose of two channel music reproduction. 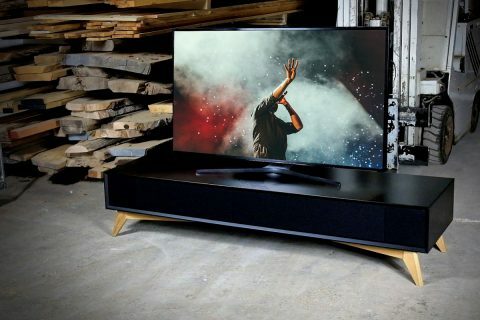 For music videos the system is supplemented with a blu ray player by Pioneer, Pioneer 60″ TV set, Musical Fidelity vdac DAC connected to a MF tube buffer, and Cello cables. The rack for all equipment is “nothing speacial”. Each component is, however, placed on a plate made of Titanium and Granite. I can’t tell to what extent the plates or other individual elements of this exclusive system explain the final sound but that it is of a very high quality is certain. Well, very well done.